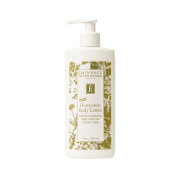 Treat your skin to the nourishing properties of Eminence Coconut Firming Body Lotion; a lightweight, velvety formula that absorbs quickly and delivers a smoothing effect. Fortified with Coconut Milk, Shea Butter and a Natural Retinol Alternative Complex, the luxurious lotion infuses skin with long-lasting moisture and hydration, whilst improving suppleness and elasticity to promote a smoother, more refined texture. 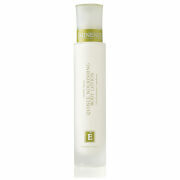 Your body feels soft, toned and conditioned without greasy residue. Free from parabens, phthalates, SLS and animal testing. Apply a small amount to cleansed skin. Massage in. Leave on. Recommended after exfoliation, shower, or body scrub. For a lighter application, dilute with water. Do not use on broken or abraded skin. Coconut Water, Corn Oil, Glyceryl Stearate, Vegetable Glycerin, Natural Retinol Alternative Complex (Chicory Root Oligosaccharides, Vegetable Glycerin, Tara Tree Gum, Gluconolactone, Sodium Benzoate), Caprylic/Capric Triglyceride, Shea Butter, Coconut Milk, PhytoCellTec (Swiss Green Apple Cell Culture Extract, Xanthan Gum, Vegetable Glycerin, Lecithin), Hyaluronic Acid (derived From Marshmallow Plant), Grape Seed Oil, Carrot Extract, Biocomplex (Vitamin A, Vitamin C Ester, Vitamin E, Coenzyme Q10, Alpha Lipoic Acid), Sodium Salicylate, Xanthan Gum, Salicylic Acid, Sodium Benzoate, Potassium Sorbate, Coconut Essence, Corn-Derived Methyl Glucose Esquistearate.